There are times in life when the only response we can muster is ‘I don’t know’. I used to think I knew what it meant to authentically follow Christ, to experience freedom in Him, and to love others as I love myself. Yet, the longer I follow Him the more I realize that I just don’t know. That is okay because I am on the journey with Him. When I took my beautiful bride’s hand in marriage I thought I knew what it meant to love selflessly, to be a good and gentle husband and to lead us as partners in our family. Yet the longer I am married the more I realize that I just don’t know. That is okay because we are walking the road together. When each of my boys was born I thought I knew what it meant to be a good daddy, to honor, respect and teach our children. Yet the longer I parent the more I realize that I just don’t know. That is okay because we are in this as a family. It is okay to not know. What is not okay is to not do. Last week I had the opportunity to spend four days in Port-au-Prince, Haiti with David and Patrick Nelson. David Nelson is a wide receiver for the New York Jets. David and his brother Patrick are extremely active in bring hope and help to the people of Haiti through their ministry i’mME. Prior to stepping foot on Haitian soil I knew there were severe issues socially, financially and spiritually across Haiti. As I prepared for the trip I had a confidence that the problems that exist were easily remedied and folks are on the ground putting these things into motion creating ‘a better tomorrow,’ towards solutions to the problems that exist. Yet, I arrived to find a completely broken social system that was infinitely more complex than I ever imagined. It was a system that was broken from the top down. You could provide education but the job opportunities were not there. You could provide the job opportunities but there is not an economy to support it. You could kick start the economy but then you have done nothing to promote value and worth. The result is a nation that has spiraled into poverty while the rest of the world keeps marching on. As I confronted what was in front of me, I found my only reasonable answer to the question of what should be done was “I do not know”. I had no solution for the depth of issues that existed. The social problem was increasingly bigger than the solution. It felt nearly unredeemable. On our second evening in Haiti David and Patrick opened their house gates to the kids in their community. Soon afterwards, their courtyard was filled with joy and laughter. Kids were dancing to music, playing games and hanging out. They sat around devouring their PB&J’s, talking and enjoying the evening. Then, as the crackling fire burned in the small garden space, everyone circled around. David shared powerful truths from the Word of God before one of the young Haitian men, who is being shaped into a community leader, began to play his guitar. What followed was an unbelievable time of praise and prayer. These young men and women lost themselves in the majesty of the presence of God. Outside of the walls we were surrounded by poverty, oppression, sin and desperation. Around that small fire we were surrounded by hope, peace, forgiveness and a future. It was around that fire that I realized it was okay to not know the next steps to take, as long as we were on the journey with them, taking the steps hand in hand. Journeying together. Watching God’s Kingdom come in their lives. Giving them a hope of the eternal amidst the hell of the temporal. What is not okay is to quit doing because you don’t know what to do. All to often we look at global problems through the lens of Western culture (or Haitian culture, or whatever culture you are in at the time). We fail to look at what is going on around us through the lens of God’s Kingdom. Consider this, did Christ come so that the world would no longer experience poverty, trials and loss, or did Christ come so that all could be restored in our relationship with God? Did Christ come so that we could achieve utopia in this life, or that we could eternally live in His Kingdom? Is Christianity a pill to resolve our problems, or a beacon of hope to guide us through them? The good news is that this world is not our home; this earthly kingdom is not our Kingdom. We fight and struggle battling for an eternal salvation, not for a temporal comfort. Along the way, we also learn to love others as we love ourselves. We are marked as followers of Christ by “[loving] the Lord your God with all your heart and with all your soul and with all your mind and with all your strength”, as well as “[loving] your neighbor as yourself.” (Mark 12:28-34) We know there is no greater commandment. In doing that we are caring for the needs of people in Haiti as well as in the US and around our globe. Loving others as our selves is caring for the physical as much as it is caring for the spiritual. They are inclusive. One without the other is not love. Love is not restricted to nationality or status. Love is non-exclusive in its pursuit. But as we love we cannot let it cloud that our pursuit is not to perfect this kingdom, rather to introduce everyone we love to the perfect Kingdom to come. 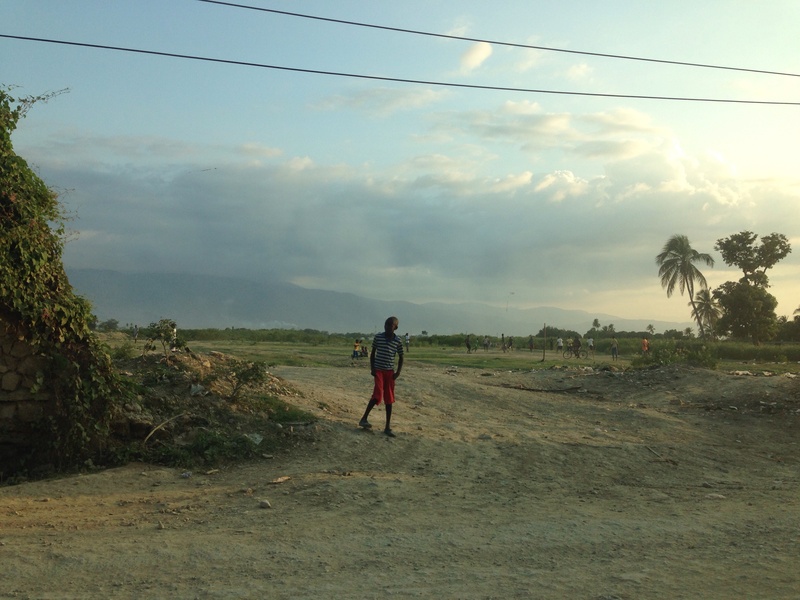 Haiti has again taught me it is okay to say, “I don’t know.” That is beautiful. Because when we come to the end of us, God can begin. I am thankful for i’mME and their heart for the people of Haiti. They are undeterred, in the knowing and in the unknown, introducing people to our loving God…inviting them into a new Kingdom. I am thankful for that commitment, and I am thankful that along the way they love others as they love themselves, brining physical help, and hope, on this side of eternity. May we all commit ourselves to living like that.